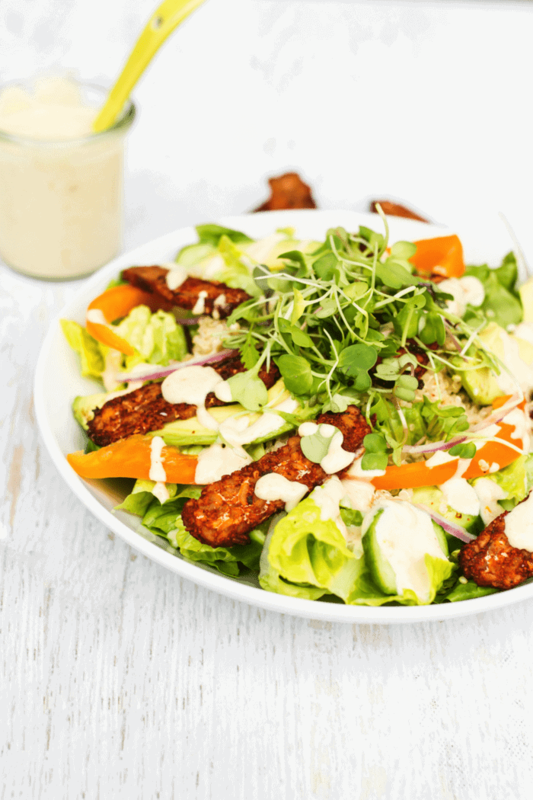 Looking for tempeh recipes? 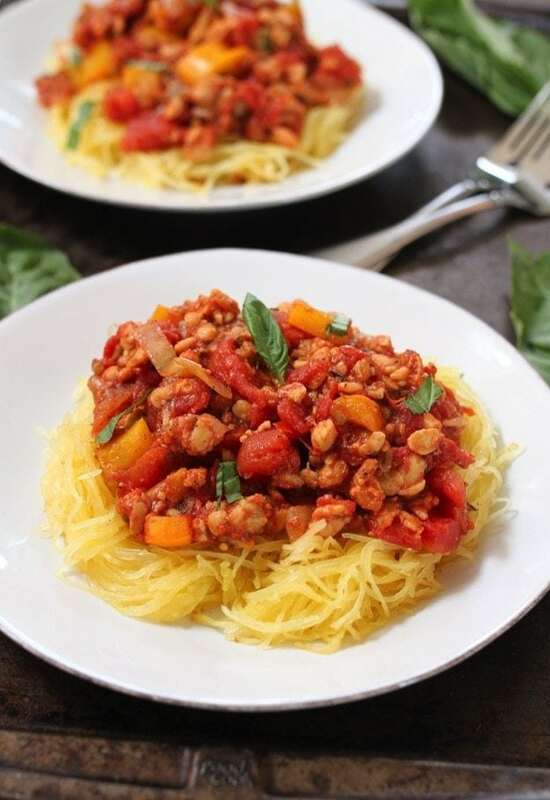 Check out these protein-packed vegan recipes that prove tempeh can be absolutely delicious and healthy. 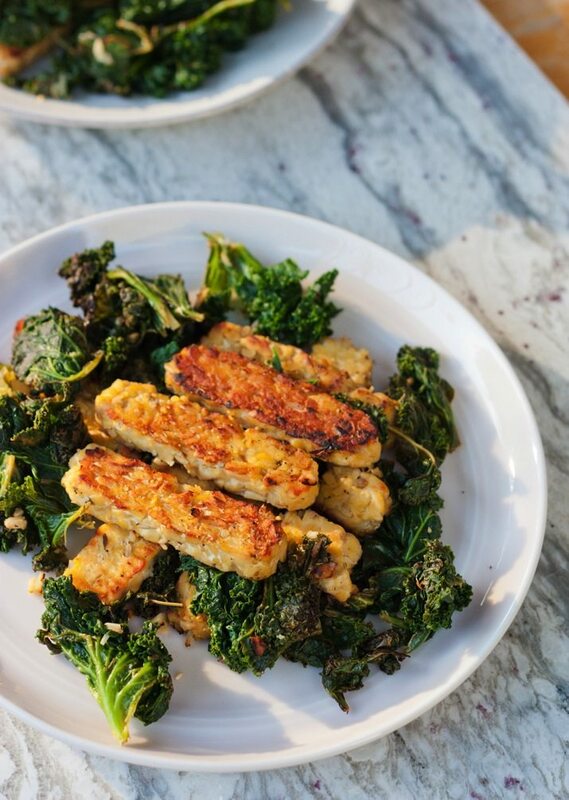 Let’s chat about tempeh for a sec. Have you tried it? If not, I’m going to give you the tempeh basics and share 13 easy and unique recipes to get you started. 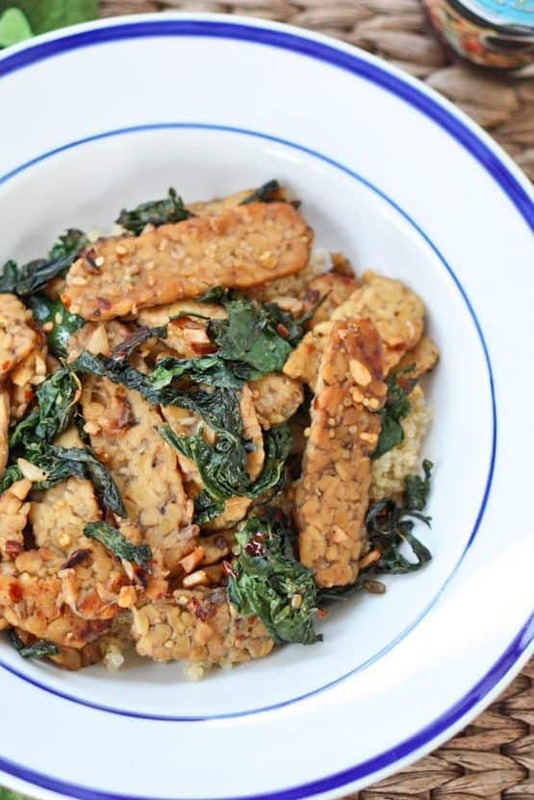 If you already know all about tempeh, simple skip this part and hop straight to the recipes. I don’t mind! It’s a plant-based protein made of cooked soybeans (think edamame) that have been fermented. The fermentation process binds the soybeans into a cake/patty, which is what you’ll find at your local grocery store. 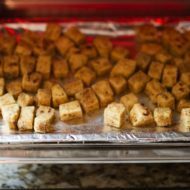 It’s similar to tofu, however there are some differences – tempeh is less processed, fermented, has a stronger flavor and a bit more texture. The flavor is usually described as nutty or earthy, but there are different varieties with subtle taste differences. 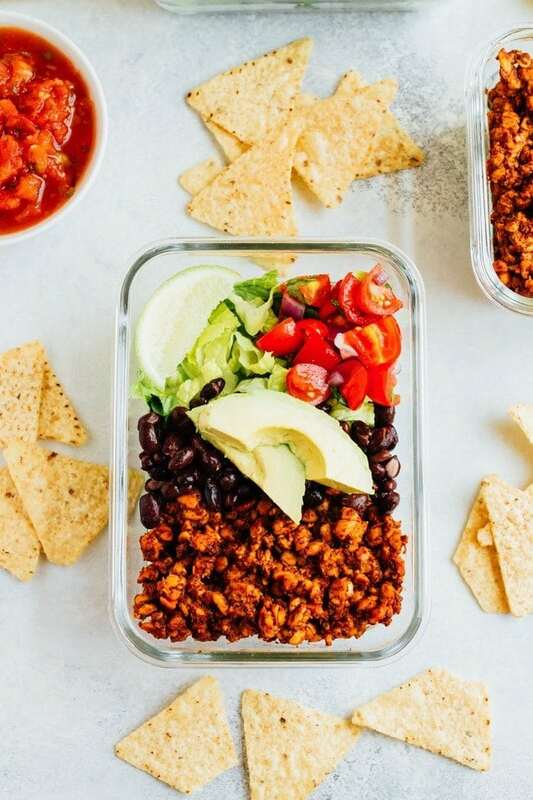 I’ve tried a ton of different tempeh varieties and Lightlife is definitely my favorite for a few reasons: it’s organic, gmo-free and easy to find a mainstream stores. I gravitate towards the Three Grain variety because it is the mildest in terms of taste, but I like the Original, Garden Veggie, Wild Rice and Flax too! 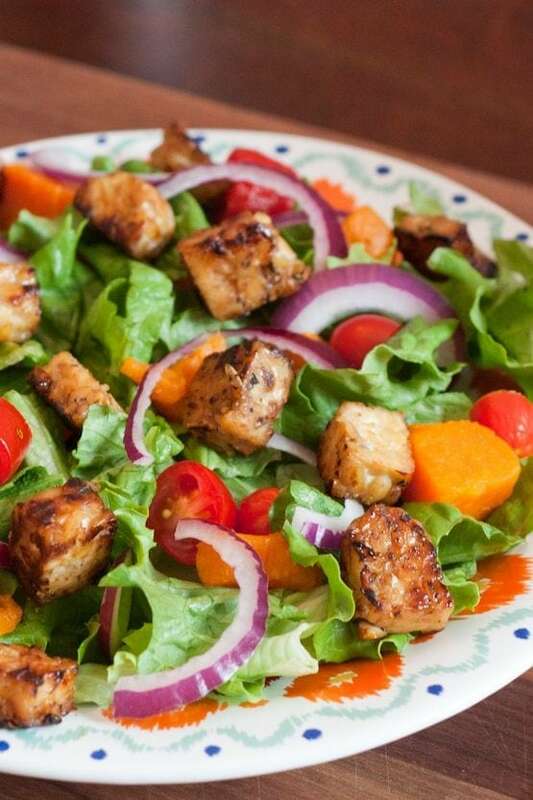 Packaged tempeh is pre-cooked so you can easily enjoy it right from the package (on sandwiches, salads, etc), but for extra flavor I highly recommend marinating it ahead of time. Another option is to steam it. Steaming for about 12-15 minutes before using it in your recipe mellows the flavor and makes it even more digestible. I find the extra step of steaming unnecessary so I just marinate it with a good sauce (usually for a couple hours or overnight) and cook it up either by pan-sautéing or baking it. Some folks will fry tempeh and I’m sure it’s delicious prepared this way but I don’t eat fried foods on the regular so I haven’t tried it. 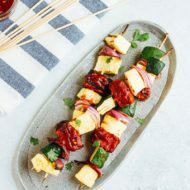 Like tofu, tempeh absorbs a ton of flavor from it’s marinade so always look for recipes that offer a flavorful marinade or sauce, like those featured here. 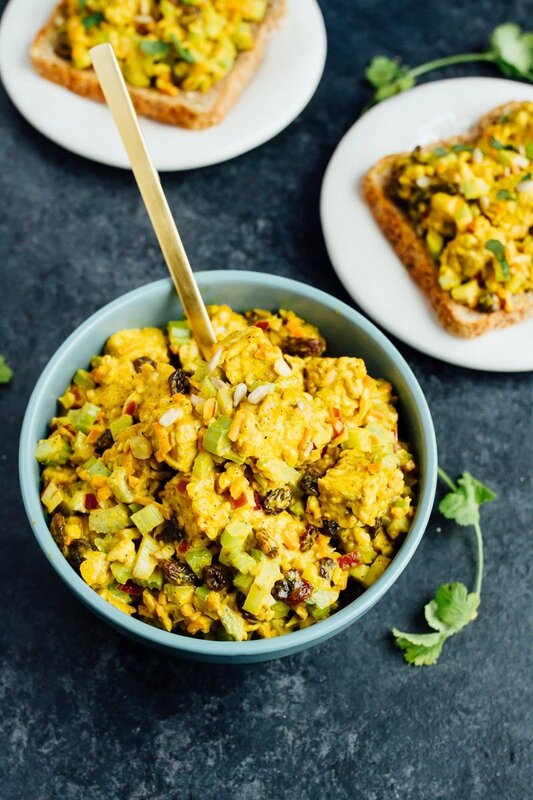 Tempeh is a fermented food with a specific fungus called rhizopus oligosporus. I have no clue how to pronounce that particular fungus, but I do know that it produces an antibiotic that is effective against certain bacteria, including including staphylococcus aureus. 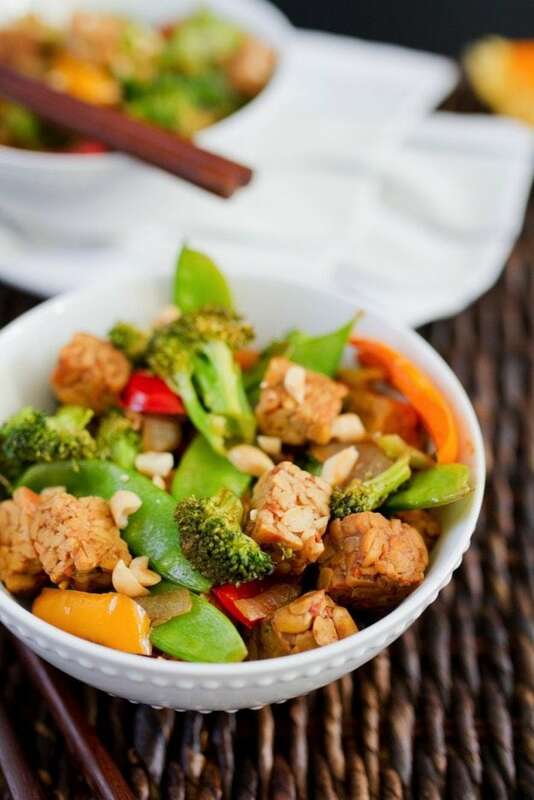 Tempeh is a complete source of plant-based protein (1 cup had 31 grams) and a great source of B vitamins, manganese and isoflavones. 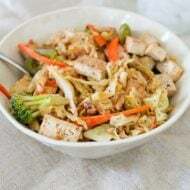 The protein and nutrients in the soybeans are easier to digest after the fermentation process and tempeh is less likely to cause gas or indigestion. 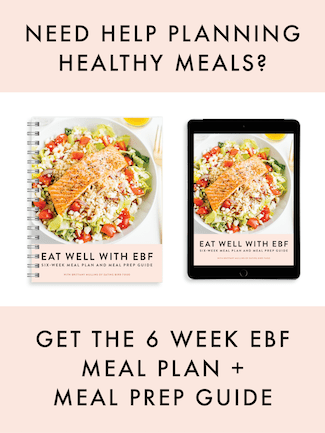 Less gas and bloating FTW! Alright, so now that you know WHY you should be eating tempeh, here’s the HOW. 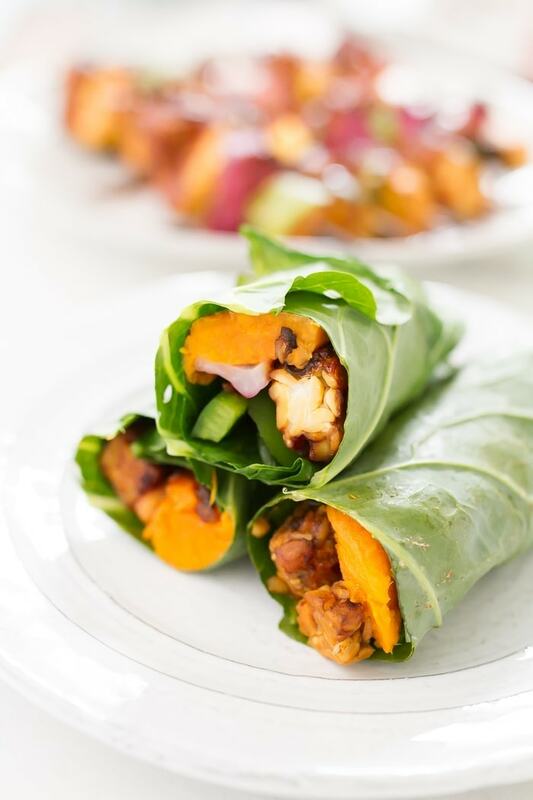 I have complied some of my favorite easy and healthy tempeh recipes for you to try! 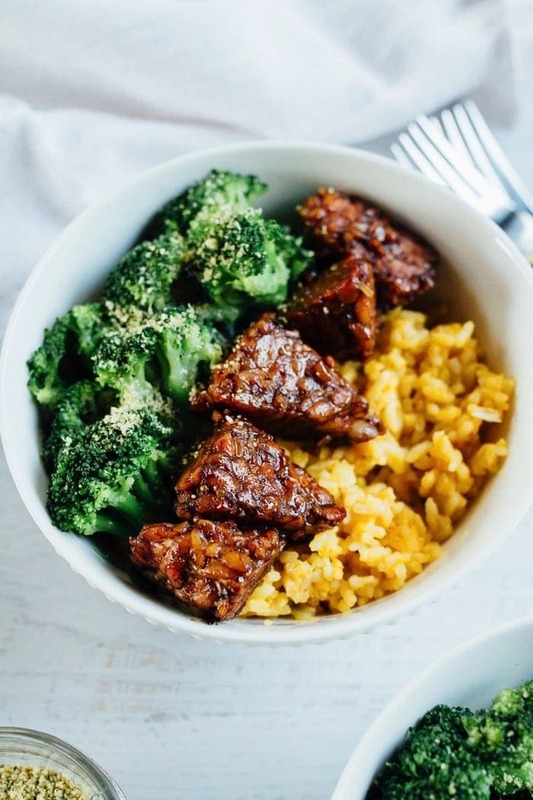 Grab your tempeh and get cooking. 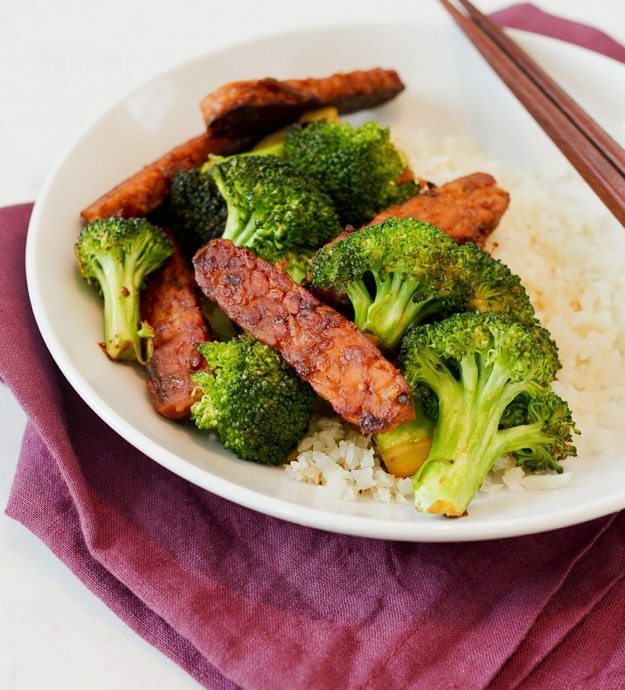 Do you have a favorite tempeh recipe? Leave a comment below and let us know what it is so we can all try it! 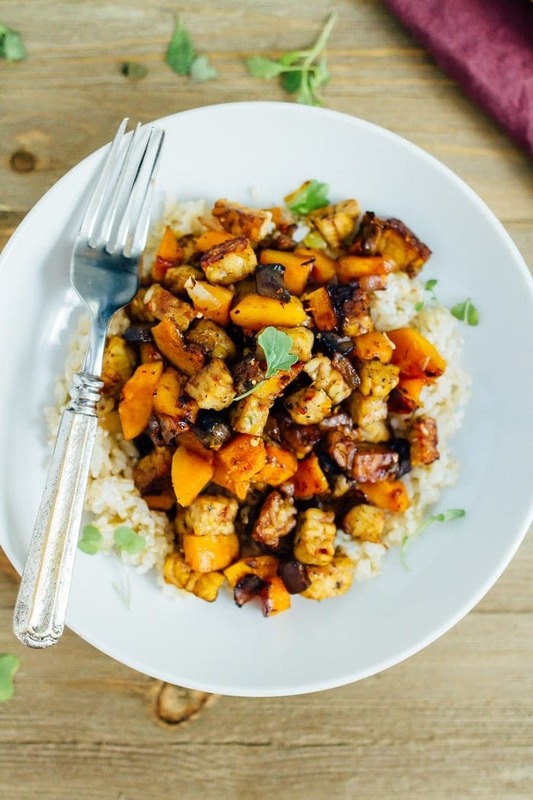 I’ve never had tempeh before, but it looks like it would taste great and I love how versatile it is! 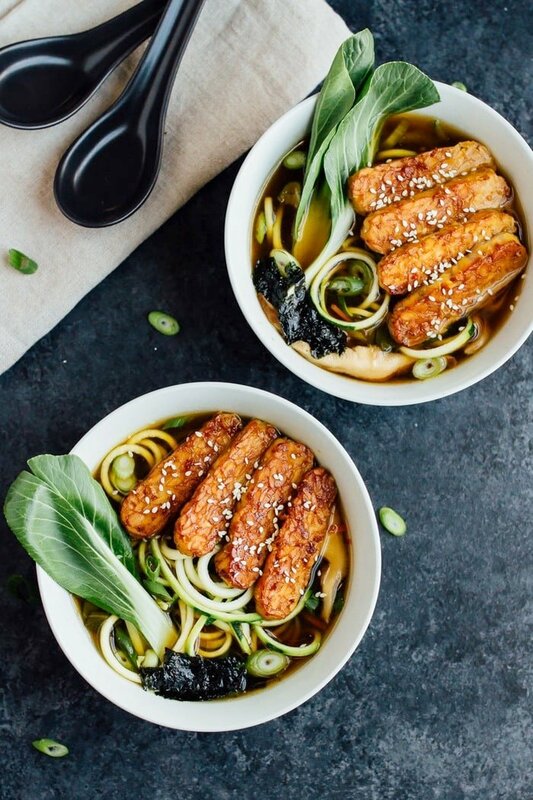 These look delicious, I love using tempeh in Asian dishes. i have seen your blog was totally awesome I am very lucky to have this amazing post @lovely post.